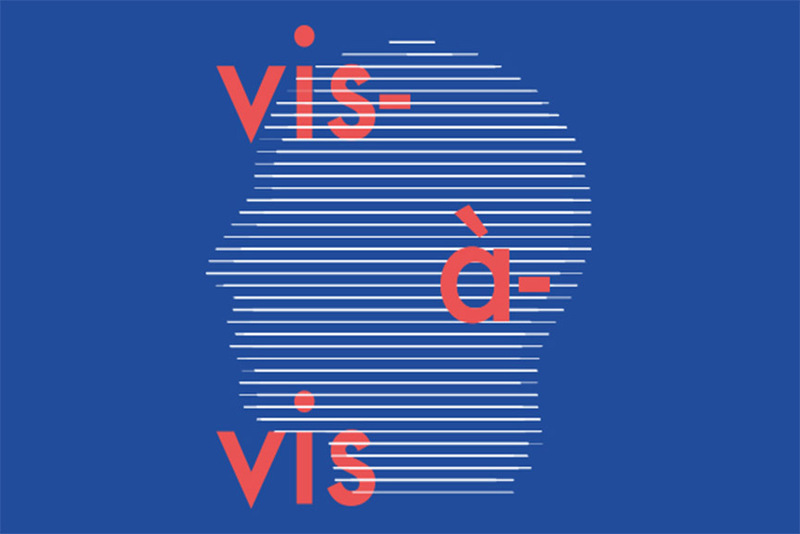 The concept of vis-à-vis is an expression that can be interpreted in various ways, but today, more than ever, it refers to the recurring theme of confrontation which sketches our representation of today’s world. 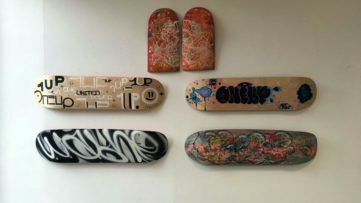 Seven French graffiti artists will show in a group exhibition in Milan that only by juxtaposition of independent viewpoints can we begin to fathom the intertwined web of relationships and events that surround us. By disregarding the two-dimensional stand and adopting the more broad sense of perception, these artists provide us with their images as a foothold for understanding the present. 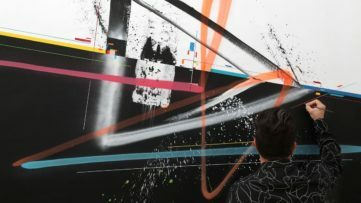 Through their images, artists guide us through their process of transforming chaos into cosmos, they interpret the issues of today and, through comparison, associate with various styles and techniques. The current events and issues interact with the concept of contemporary art and thus these seven artists interpret the issues of society through the process that provides the kernel of understanding the macrocosm, starting from the microcosmic point of view. Outside of this social prism, these artworks may seem as no more than a cloud of scattered elements, but through their masterful skill, these French graffiti artists transcend the constraints of the need for obvious message the society imposes on them, and manage to convey a much deeper meaning of all that is wrong with the world of today. 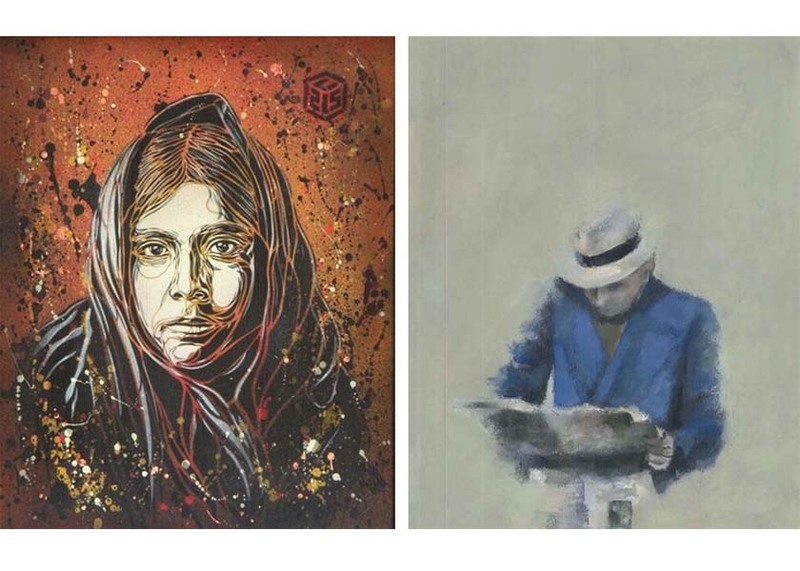 Christian Guémy, alias C215 is a street artist commonly described as the “France’s answer to Banksy”. Using the stencil technique, he provides the depiction of social issues inspired by international news and European affairs. 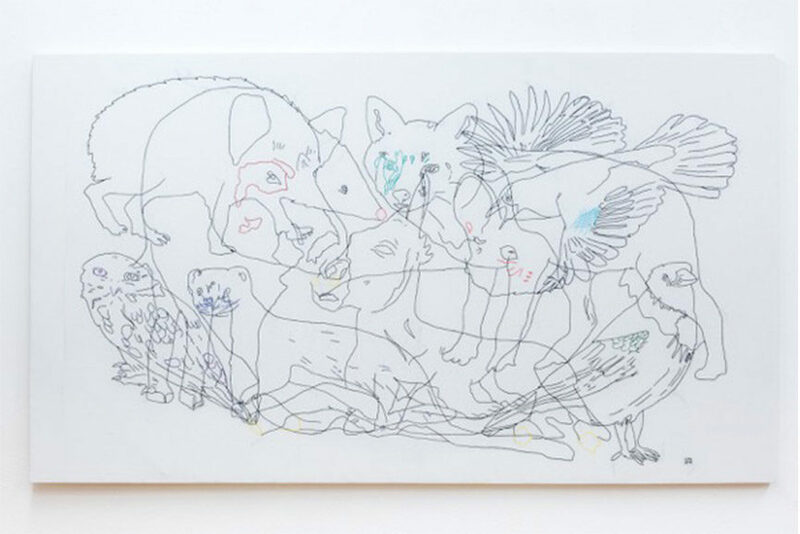 His works give back the dignity to the marginalized groups: immigrants and the homeless, but also children and animals in an effort to give a more solidary urban landscape. Isaac Cordal is an artist who is best known for his Cement Eclipses project. 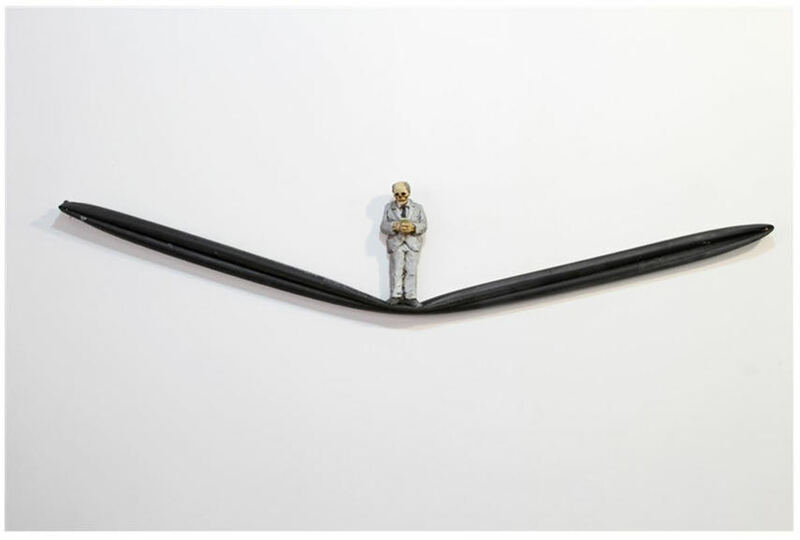 His miniature sculptures serve as a critique of society, consumerism, bureaucracy and politics. These small works represent the destruction and reconstruction of all that surrounds them, giving the spectator the sense of hope through their ostensible state of vulnerability. 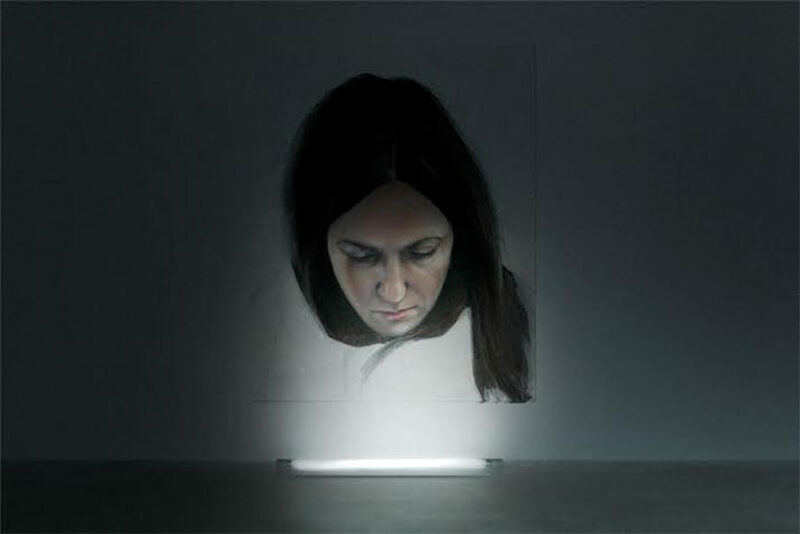 Andrea Martinucci, who takes inspiration from the individual’s alienation from the surrounding environment similar to dream immersion, is best known for his OFFLINE project where he developed interactive installations which explore the relationship between interpersonal and digital dynamics in a combination that blends together art and technology. Yassine Mekhnache is a painter whose portraits occupy the canvas space and serve as a place of confrontation between Western and Eastern culture. Coquelicot Mafille is a French artist who, through the technique of embroidery manages to connect man and nature. K-NARF plays with different forms of photography in which he implements the practice of “Bricolage” – affiliated to the “DIY” and “Arte Povera”. Paul de Flers is a Parisian artist whose acrylic technique makes the individuals depicted in his work immortalized as metaphors of daily problems and introspect of personality. A group exhibition curated by Rainlab is announced by Institut français Milan and with the famous Molin Corvo Gallery as a cultural partner. The opening reception is scheduled for Wednesday, March 2nd, from 6:30 – 9:30 pm. The exhibition will be on view from March 3rd till April 1st, 2016. It will most certainly give a new perspective on world’s burning issues, shown from the artistic point of view. 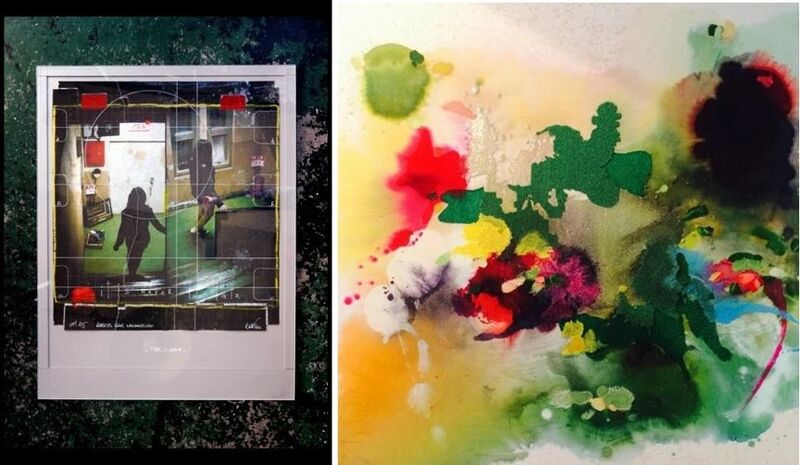 Thanks to Neosperience, a free app entirely dedicated to vis-à-vis will be available for both iOS and Android users. Featured images: vis-à-vis visual/ Andrea Martinucci – Offline 110x160cm, 2014-2016/ Coquelicot Mafille – La mia famiglia 210x120cmAll images courtesy of ArtGallery Associazione Culturale.